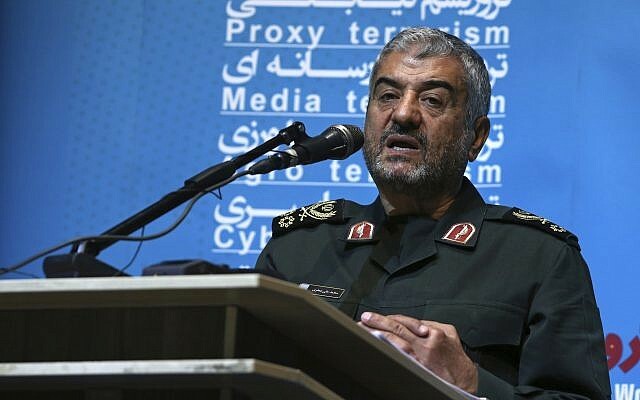 The commander of Iran’s Revolutionary Guards on Thursday threatened that any future war in the region will result in the annihilation of Israel. 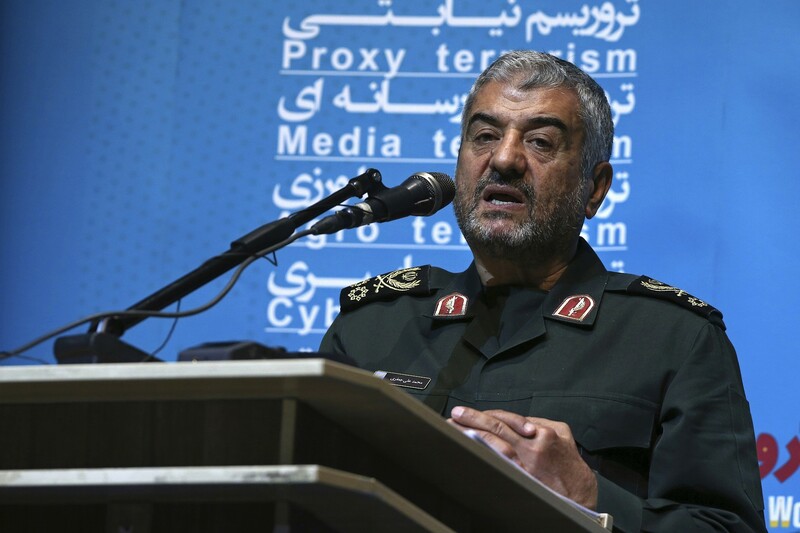 “It is a proven claim that today we say any new war will lead to the eradication of the Zionist regime,” Ali Jafari told Iranian reporters in Tehran according to semi-official media outlets. “The fate of the resistance front is interwoven and they all stand united, and if Israel attacks a part of it, the other component of the front will help it,” he added, according to a translation on the Fars website. At the press conference, Jafari also rejected the disarming of the Lebanon-based Hezbollah terror group, as demanded in the past few days by Saudi Arabia. “Hezbollah must be armed to fight against the enemy of the Lebanese nation which is Israel. Naturally, they should have the best weapons to protect Lebanon’s security. This issue is non-negotiable,” Jafari said. Also on Thursday, Iran’s Supreme Leader Ayatollah Ali Khamenei urged the Muslim world to fight “cancerous tumor” Israel. Today, the issue of Palestine is the primary issue among the Muslim world, since it has been an Islamic country usurped and turned into a means of sabotaging the security of several countries in the region. This cancerous tumor [Zionist regime] should be fought against. The remarks by the Iranian officials came as Lebanese Prime Minister Saad Hariri returned to Beirut and pushed off his resignation in a surprise move. Hariri had announced he would step down on November 4, from Saudi Arabia, citing fears for his life and the growing influence of Hezbollah and its patron, Iran. Upon his return, Hariri stressed his support for a return to Lebanon’s official policy of “disassociation” from “the wars, outside conflicts, and regional disputes” — a pointed statement meant for Hezbollah. Iran’s leaders routinely call for the demise of Israel. Iran funds, trains and arms terror groups in Gaza, the West Bank and Lebanon.